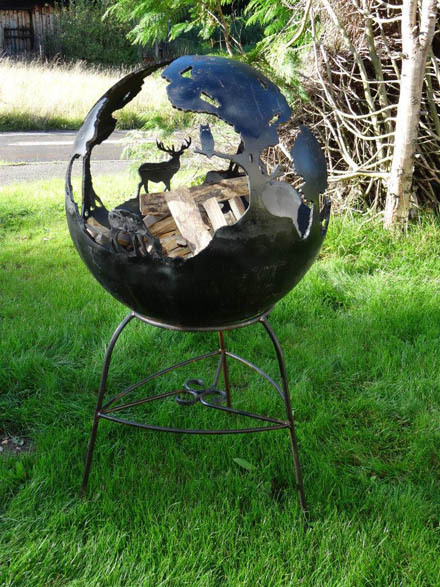 700mm in diameter fire globe. 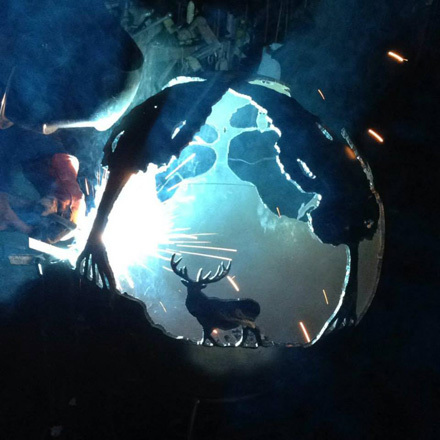 Depicting a traditional woodland scene, including deer, owls and boxing hares. Sitting on a hand forged stand. 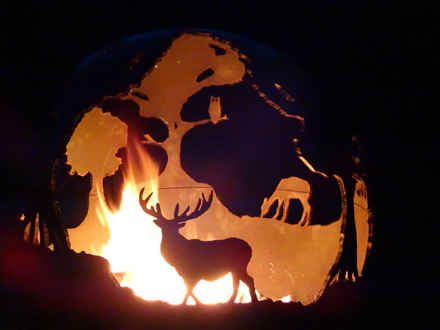 Please get in contact for an informal chat if you wish to discuss fire globes further. We are happy to discuss prices and design ideas with you. 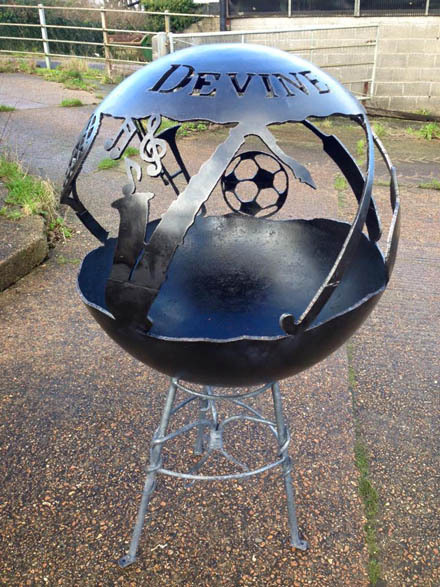 A 900mm in diameter fire globe commissioned by Claysmore School. Devine referring to the school house it was made for and after the founder Alexander Devine. © Lloyd & Co. Blacksmiths, all rights reserved.